Earlier in the day, Saudi Arabia's Foreign Minister expressed his confidence that the visit of the Saudi King in Russia would be a successful one. 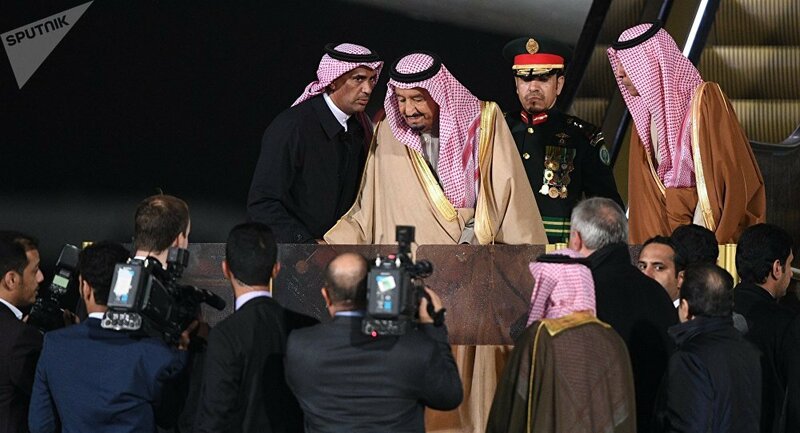 "The visit of the Saudi Arabian king [Salman bin Abdulaziz Al Saud] and his big delegation is considered to be historic, as this is the first visit of the head of the Kingdom to Russia. During the visit, a number of important documents are expected to be signed, which will contribute to the development of our relations," Saudi Foreign Minister Adel Jubeir said Wednesday at a meeting with Valentina Matvienko, the speaker of the Russian Federation Council, adding that "this visit will undoubtedly be successful."